Stagnation of New APS-C Models? I have the Sony NEX-F3 (and Nikon J1). Maybe it's me, but it seems like forever since new models have been announced other than the A3000 and A7/r--the former isn't really what I think of in terms of NEX, the latter are full-frame & as great as smaller full-frame models are, I think I'm one of many that appreciate what APS-C NEX models like the F3, 6 and 7 etc bring in terms of high image quality in a smaller package. Is it just my imagination? I'm not dis-satisfied with my F3 (other than I wish you could use the command dial to more quickly choose AF points, not just the 4-way part of it) but the lack of new models can sort of send a "vibe" that the system is not likely to still be around in 3-odd years or so, or that it may end up being more like the A3000 which is NOT what I am looking for. Really this is misleading. For example the NEX 5t is almost a rebadged 5r with some new firmware. 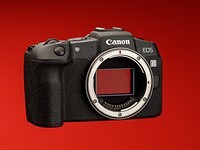 The 5r was a 5n with a new sensor, but that sensor offered no real improvement. Comparing the original NEX 5 to the current 5t overall there is not much of a difference except they old 5 is a bargain. Don't worry, Canon does the same thing. The old T2i and latest T5i perform almost exactly the same. Who doesn't? You are basically making the point about expecting frequent launches... pointless! Re: Stagnation of New APS-C Models? How often do you expect Sony to update them ?